Herbalife is having an incredible day in the market today, and for good reason. The company reported its first quarter earnings yesterday after the closing bell as expected. According to the report, the company blew away earnings expectations, topped revenue expectations, and expanded guidance for the full year. Today, we’ll talk about the report, how the market reacted to the news, and what we can expect to see from HLF moving forward. Earnings Per Share – When it comes to earnings per share, HLF absolutely blew away expectations. During the first quarter, analysts expected that the company would generate earnings in the amount of $1.09 per share. However, the company actually reported earnings $0.27 ahead of expectations, coming in at $1.36 per share. 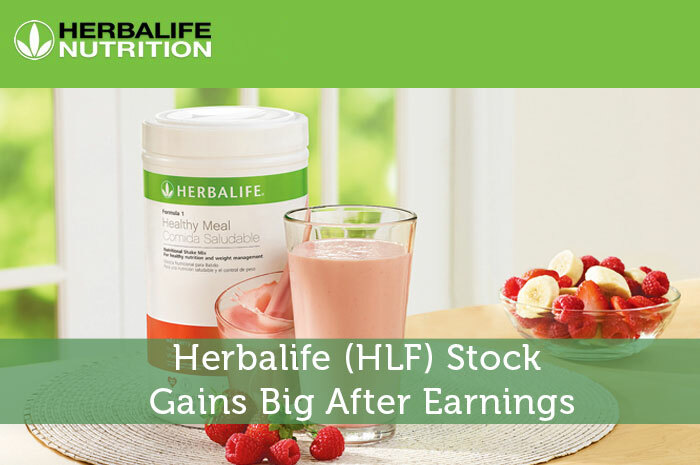 Revenue – While revenue wasn’t quite as positive as earnings, it was still a positive aspect of the HLF earnings report. In terms of revenue, analysts were expecting that the company would generate a total of $1.07 billion in the first quarter. However, according to the report, the company generated a total of $1.1 billion in revenue for the quarter. Guidance – If beating revenue and blowing away earnings expectations wasn’t enough to excite investors, Herbalife offered yet another positive piece of data. Based on the strong first quarter, the company has increased its guidance for the full year when it comes to earnings per share. Previously, the company was expecting to generate between $4.05 and $4.50 per share. However, according to the update provided during the earnings report, HLF is now expecting to generate earnings per share in the range between $4.40 and $4.75 for the year. Currently, Wall Street is expecting that the company will generate $4.65 in full year earnings per share. One of the first things that I learned when I started investing is that the news moves the market. When positive news is released surrounding a stock, we can expect to see gains in the value of the stock. Adversely, when negative news is released about a stock, we can expect to see declines. In this particular case, the news that was released by HLF was overwhelmingly positive. After all, the company not only blew away expectations, but set the stage for a strong year overall. As a result, we’re seeing strong growth in the value of Herbalife at the moment. Currently (10:48), the stock is trading at $65.00 per share after a gain of $6.70 per share or 11.49% thus far today. Moving forward, I have an overwhelmingly bullish opinion of what we can expect to see from HLF. First and foremost, in the short term, strong earnings, revenue, and guidance are likely to keep investors excited, leading to short run gains on the stock. However, the long term view is looking just as good. Herbalife has made several changes over the past year, and it seems as though those changes are starting to pay off in a big way for the company. With a great product, great plan, and great team to carry out the plan for growth, I’m expecting to see strong movement on the stock moving forward. Where do you think HLF is headed moving forward? Let us know your opinion in the comments below!